When someone asked how enjoyable a wedding was when I was a kid all you had to say was, "They had Surf n Turf." which was code for a no hold out fancy affair. The last wedding I went to that splurged on a real Surf n Turf dinner of lobster and steak was when my cousin Michael got married. He married a Sicilian girl. Sicilians sure know how to throw a wedding. The cake had bridges on it with miniatures of everyone in the wedding party. When it was time for dessert they didn't even serve that cake, instead waiters carried out flaming cakes that were brought to each table. If that wasn't enough dessert for you... there was a large Venetian Table filled with every Italian pastry imaginable. I was so glad they brought a rock group over from Italy, so I could dance away the calories I ate... oh boy, that was one good time! Now this recipe was not inspired by an elaborate wedding, but by the fact that when I opened up the freezer there was only one steak left and half a bag of scallops... Poor man's surf n turf. I also was adventurous and bought some dandilion leaves, so I threw them in for the greens. You can use any green you like... enjoy. 1 bunch of chopped greens: dandelion, spinach, baby kale etc. 1) Bring a large sauce pan of water to boil with at least 2 tablespoons of salt. 2) Heat a tablespoon of the butter in a large skillet. Saute the steak seasoned with salt, pepper, and Worchestershire Sauce, remove from skillet set aside in a large bowl. 3) Heat another tablespoon of butter in the skillet. Dry the scallops well before putting them in the pan. Season them with the Old Bay, salt & pepper. When opaque and lightly golden remove from the skillet and put them in the bowl with the steak. 4) Heat yet another tablespoon of butter and saute the greens. Put them aside in the bowl with the steak and scallops. 5) Add the last tablespoon of butter into the skillet along with the Vermouth and chicken broth. Bring this to a boil. Then turn off the heat. Put the al dente cooked pasta into the skillet. Mix it with the sauce and then return steak scallops, greens and any accumulated juices to the skillet. Let the pasta sit for at least 5 minutes before serving it, so it can absorb the broth. 5) Taste, you may need to add a little more butter, salt and pepper. You can also drizzle a little good quality olive oil over the pasta too. A super healthy and versitale one skillet meal. Easy foil grilling techinque for a super simple recipe that screams Summer! It is rhubarb season. Love the idea of cake instead of a pie. 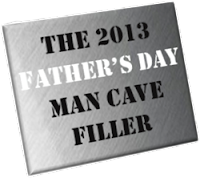 This post is shared on the following wonderful food/craft parties. Thanks for the party, Diane! Your Surf and Turf pasta looks heavenly! My husband would love your surf and turf pasta. Thanks for the linky party. I brought some amaretto marshmallows. Sounds great thanks for coming Annamaria. Wow, Diane, I want to dig into that scrumptious bowl of pasta right now! Me too... I need to go shopping. That Jerk Chicken sure looks good. Hope you are having a great week and thanks for hosting! And it's such a simple recipe. Hope you get to try it. We are getting the aftermath of a tropical storm. Lots of rain here this weekend. It was quite an affair... Italians love doing things over the top. Mocha cake sound wonderful to me right now. I remember big weddings also with more food than you can eat. Your surf and turf looks much healthier. Thanks for hosting each week and enjoy your weekend. Crazy amounts of food right... yes a little bit of meat and fish is much better. HI Diane! First time linking up to the party! Thank you so much for hosting. I love my scallops, and my husband loves his ribeye so this sounds like a perfect dish for us ;). Hope you have a wonderful weekend! Thanks Ann... really didn't have enough ribeye do any grilling... but hey, I got a nice pasta dish out of it. Thanks for hosting, your surf and turf pasta looks yummy! Thanks also for featuring my Rhubarb Cake recipe, it's a great way to use rhubarb! You are very welcome... I've never used rhubarb in a cake. Thank you so much for hosting this link-up party! Have a great weekend. You are very welcome Marie. Thanks for stopping by. Surf'n'turf is really big over here Diane. Its typical pub fare with a nice steak being served and then topped with anything from prawns, lobster, scallops (but usually just prawns) in a creamy garlic sauce on top. Served with potato of some sort (ie fries, mash etc) and veg or salad. Thanks for hosting and have a great weekend. Wow, I never had it with a creamy garlic sauce. You should make it on your blog. I would love the recipe. So glad you are coming regularly again Lyuda. I love your surf and turn recipe! Heaven in a bowl! Have a great weekend. Thanks Deb definitely pleases all tastes... I guess except for vegetarians. I love the idea of "Surf and Turf Pasta." sounds delicious ! Thanks I found it to be a fun idea. Hello Diane! Thanks for hosting! 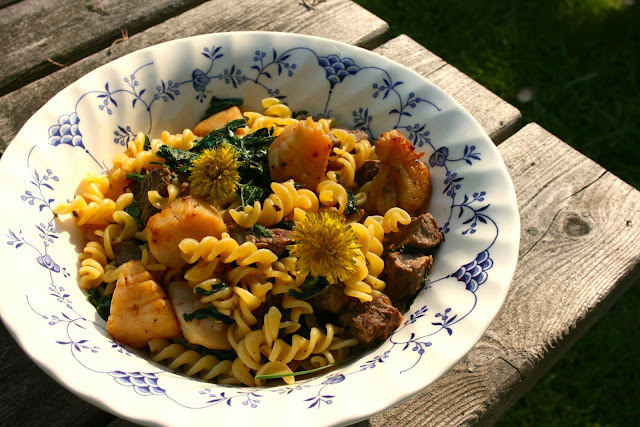 I love those dandelion greens hanging out in your surf and turf pasta. I want to try this recipe with some gluten-free pasta I've got in the pantry. Yum! :) I shared Vanilla Cream Dessert Shots with Gingersnap Granola (gluten-free, dairy-free, and refined sugar-free). By the way, I've recently "moved" blogs and I'm running a giveaway of my natural skincare products in celebration. Please stop by! This was actually made with gluten-free pasta. I have been dealing with a mild wheat allergy. It works very well. I hope you get to try the dandelion greens too. Thanks so much for hosting! My husband would go hog wild over this pasta dish! You can throw some pork in it too for the hogs. Glad he will like it. I love surf and turf, especially the scallops part! This week I'm sharing my Cranberry, Carrot and Celery Slaw. Have a great weekend! I love the scallops a bit more than the steak.. who am I kinding a lot more. Your slaw sounds great. I wish I could have gone to that wedding with you! It sounds like a good time was had by all. This dish looks so good. I will have to give it a try! I am off to find a recipe to share - I almost forgot! It sure was a good time especially for the brides father who wore a top hat and carried a cane the whole night. Is there something wrong with "InLinkz" tonight? This is my second time trying to link up and it either says "loading" or someone's link "BBQ Chicken Pizza" is repeated about 100 times! I'll try again later but something weird is going on. I just linked a strawberry recipe no problem. They did just change their format maybe there are some bugs in it. I can't wait to see what you brought. I aways love your recipes. Happy Foodie Friday, Diane ! Hope you're all well. A little bird must have told you to stop by... I was just thinking about you Kristy. How have you been? Good to see you here. 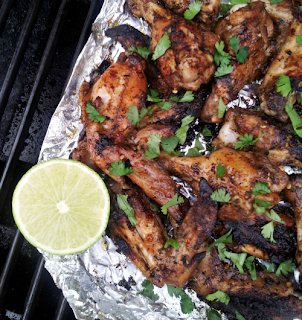 So appreciative that you featured my Jerk Chicken Wings Grilled in a Foil Packet! Great thing to see on a rainy Monday morning :) Thanks! You are very welcomed.. really tasty simple seasoning... loved it. Thanks so much for the feature Diane! Sorry for the late response but I've been on vacation. Headed over to this week's to link up. Have a great weekend and thanks for the party! Diane, this is a great Surf and Turf Pasta. Thank you so much for sharing this great recipe with Full Plate Thursday. Hope you have a fabulous week and come back soon!